Terry Glover, 24, of the 0-100 block of North Parkside Avenue, allegedly beat two two women while yelling gay slurs. CHICAGO — Police said a man was charged with hate crimes after he and others beat and robbed two women while yelling slurs about their sexual orientation on the West Side Saturday night. Terry Glover, 24, was arrested Monday and charged with two counts of felony robbery and two counts of felony hate crime, police said. No other suspects have been arrested for the South Austin attack, according to Chicago police. Glover and his accomplices beat and robbed two women, ages 23 and 25, in the 0-100 block of North LeClaire Avenue as they yelled "derogatory terms at the victims regarding their sexual orientation," the Police Department said. The attack happened late Saturday night, police said. 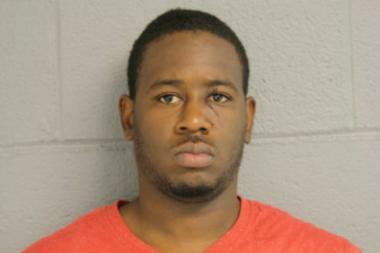 Glover, of the same block of North Parkside Avenue, was ordered held on $1 million bail by a Cook County judge.